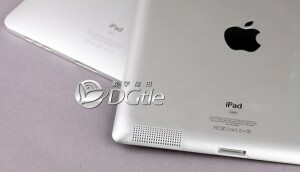 Today, at 18:00 London time Apple will be revealing their much rumored iPad 2 (so we assume…). For weeks now there have been endless posts and comments and leaked photos all speculating about what features the new magical device will have, so much so that I’m pretty sure we now know what they’ll be showing us later today (slimmer body, faster processor, more RAM, one or two cameras and not much else). But, what few, if any folk, have been talking about it what Apple’s “one more thing” might be. I for one am hoping that there will be a “one more thing”. The rumors are that as well as the new iPad we’ll be seeing more details about OS X Lion, possible some hints at what will be in iOS 5 and an update to a free version of mobileMe. We also know that the BBC are involved some how, though Apple may just be using the BBC space for getting UK based journalists involved? But will Apple reveal the iPad 2 as their “one more thing” after running through all the other bits and bobs, or will there be something that no one has thought of waiting in the wings to blow our fanboi (yes, I admit it…) minds?